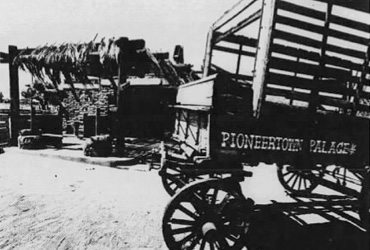 Pioneertown, up in the San Bernardino mountains across the desert from Palm Springs is going to boom. It is a beehive of activity today with movie sets rolling in at better than a truck a day. 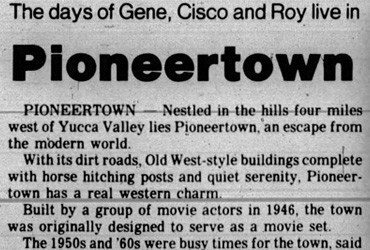 Six Hollywood studios have combined to build up the town in tru western, pioneer style for movie making and will he there for a year. 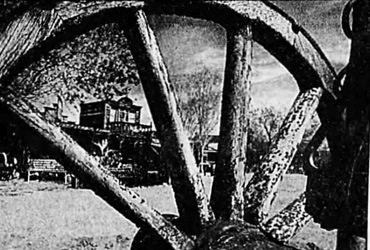 The ‘‘Cisco Kid” series and other westerns will be filmed in the area, not so far from the Village.